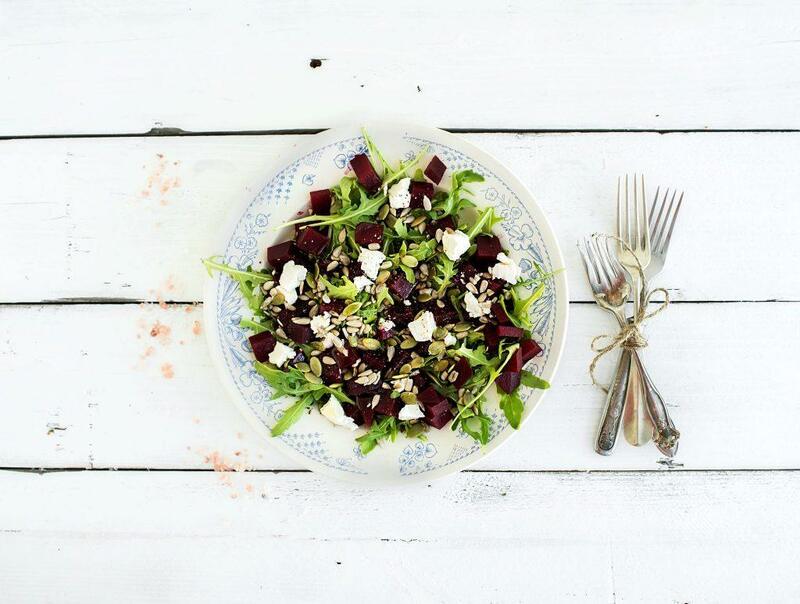 Summer is here which means it's time to ditch the pre-made supermarket salad bags and get stuck into fresh and light summer salads. 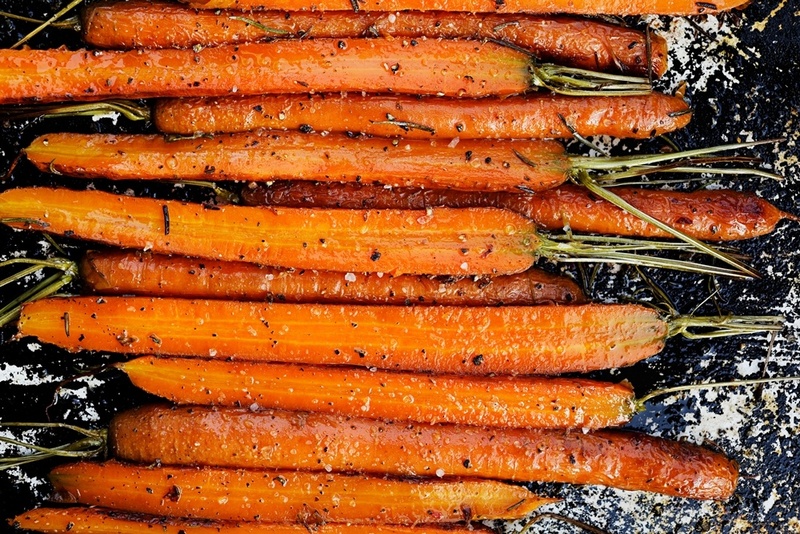 At this time of year there’s an abundance of fresh and flavoursome ingredients available. So, there’s no excuse to eat another boring salad again. We’ve put together a collection of our favourite recipes for you to enjoy over the coming months. Serve on it’s own or as a side dish to a delicious cut of BBQ’d meat. – Fill another saucepan with water and place over a medium heat. Stir in the turmeric and paprika and bring to the boil. Cook the quinoa in the infused water until soft. – Add the ground coriander, cumin and lime juice and mix quickly to stop the spices from clumping together. – Place the beetroot cubes into the pickling liquor and cook for 3-4 minutes before removing from the heat and allowing to cool in the liquor overnight. A staple in Korean cuisine, is a traditional banchan or side dish. – Remove the stalks from the cabbage, then chop it into 4cm pieces and place in a large bowl. Sprinkle over the salt and massage it in with your hands. – Cover the cabbage with cold water and sit a plate on top to keep the veg submerged. Set aside for 2 hours. – Tip the cabbage into a colander, rinse it thoroughly under cold water, then leave to drain for 30 minutes. – Place the garlic, ginger and sugar in a food processor and blitz to a smooth paste. Transfer it to a bowl and mix in the shrimp paste until combined. – Put the daikon, red pepper and spring onions into a large bowl. Squeeze out any excess water from the cabbage, and then add it to the bowl, use your hands to mix it all together thoroughly. 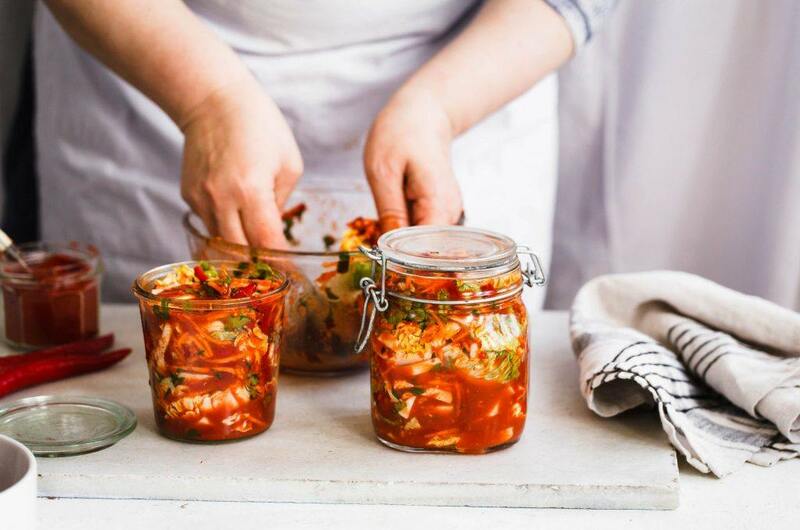 – Spoon the kimchi into a large kilner jar and press it down so the juices rise, leaving a gap at the top, then close and seal the lid. – Leave the kimchi to ferment at room temperature for 2–5 days. (Place the jar on a plate to catch any brine that might bubble over.) Check the kimchi every day, letting out some gas and pressing the vegetables down into the brine. – When the kimchi tastes delicious, transfer the jar to the fridge. This will keep for up to three months.